I have a morning routine when I wake up and it always involves hopping on the computer for a few minutes. I head over to the news then to the weather and then I check out my favorite sites that I shop from to see if they have any good deals I am interested in. Then after that I head over to check out the local real estate site because I like to stay in the know on what the market is doing. 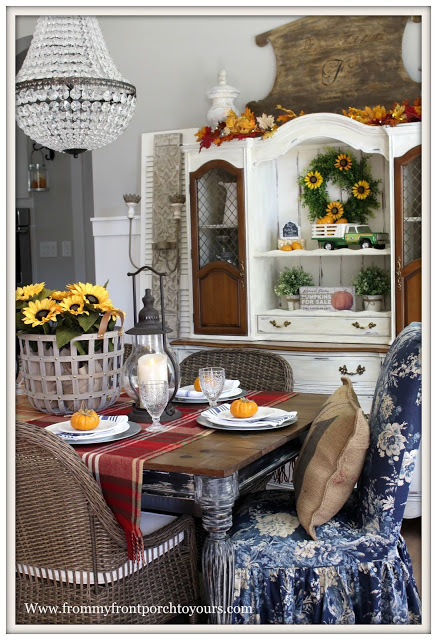 Well imagine my surprise when I clicked on over to Decor Steals this morning and saw our dining room featured! I purchased two of the pillar wall sconces last year. They were originally intended for our master bedroom but I loved them so much in our dining room that that is where they have staid. I think I originally purchased them from Antique Farmhouse, Decor Steals sister site at a much higher price but they were worth it. Some people have been wondering if these plug in or require hard wiring. They require hardwiring but you can go to any of the big box hardware stores and they sell the kits that allow you to have the sconces turned into plug ins. I believe the kits run about $8. I have NOT been paid by Decor Steals in any manner for this post. 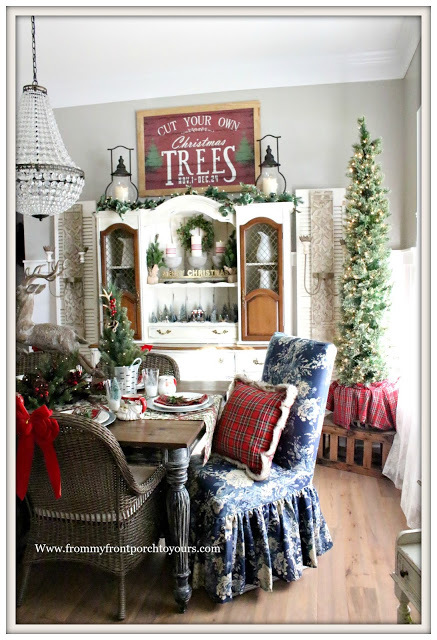 I was just surprised when I hopped on their site this morning to see our dining room featured. 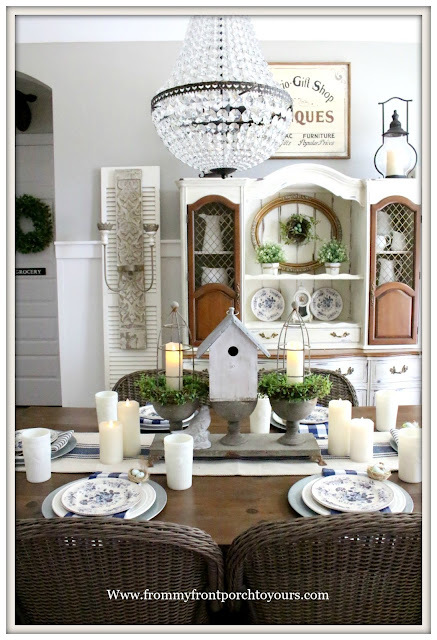 I figured why not make a post rounding up all the posts of our dining room here at the new house. You can click on the title of each and it will take you to each post. 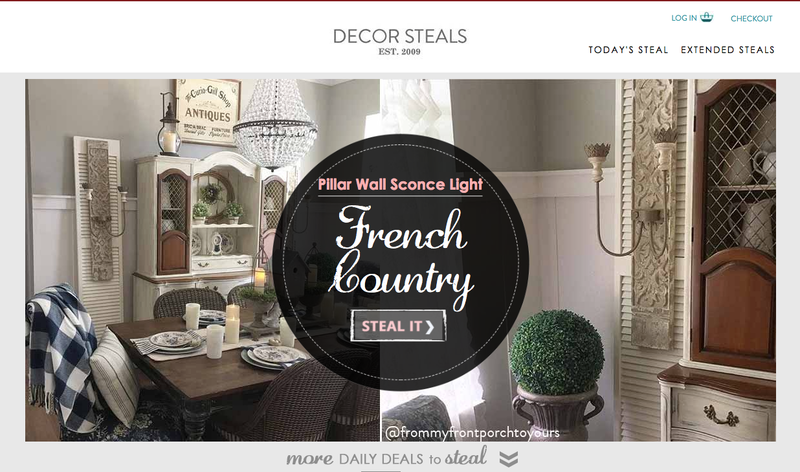 If you are wanting these sconces you hop on over to Decor Steals before they sell out. 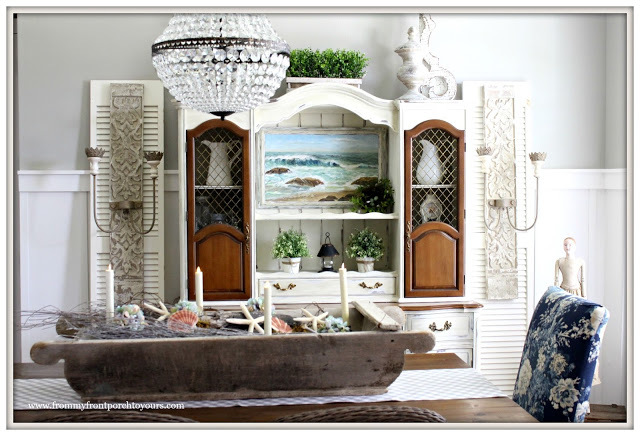 I saw your dining room with the sconces at the Decor Steals site today. Awesome feature on their site. Thank you Judith! They normally ask before they use photos but they didn't this time so it was a surprise indeed to see it. Hope you have great weekend! I'm smiling because we have the same morning routine!! I love the sconces. I love them around pretty wall art. Thanks so much for sharing this..You are a creative ace! Thanks Jane! Yeah, I do not spend as much time on the ol' computer as I use to so I hop on in the morning and then in the evenings. Hope you have a great weekend and enjoy that lake for me. It is soo hot here. I have been looking for some French candle sconces for my dining room, that are affordable. I don't want electric ones. Yours are beautiful! These are beautiful and as you can see I do not even use them as electric at least not yet. I like the look of them just being there. Aides Gray has some beautiful ones that are not electric. Just out of my budget.